Last week saw the culmination of the first five artist residencies in rural villages - Ashill, Necton, Shipdham, Mattishall and Harling - with fantastic exhibitions of work in both Ashill and Necton and a range of arts based activities happening in the other villages. Residents of Ashill loved seeing their Cyanotype prints exhibited in the Community Centre, with a brilliant turn out of visitors coming along to admire the residents' work and indulge in a slice of chocolate fudge cake or a scone with cream and jam! Artist Vicki Johnson reiterated her thanks to the village archive for their wealth of local photographs, kick-starting the first workshop with great success. Necton village also had a great turn out for their exhibition at the Community Centre on Saturday, with many new faces coming to admire the work over a cup of tea and piece of artist Sarah Harley's apple cake. The range of work produced was great to see and the Necton spin off sewing club is still going strong! 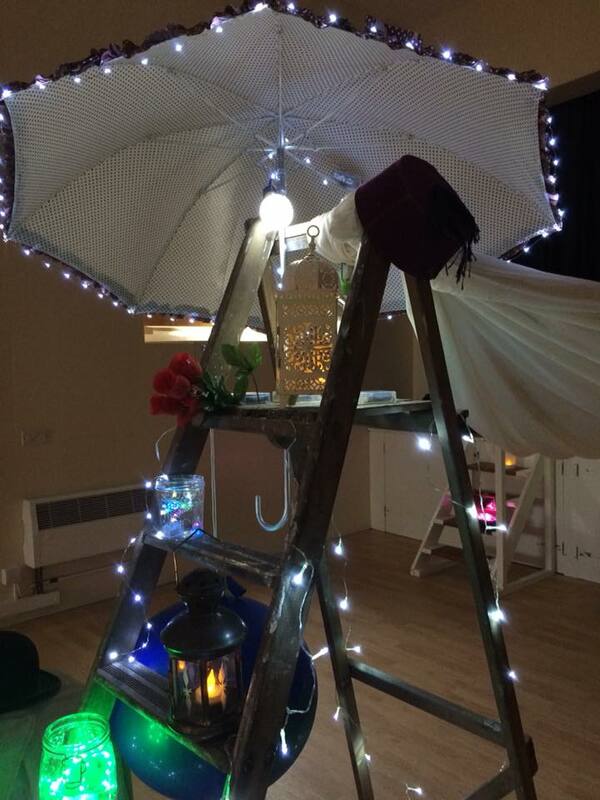 Other activities happening across half term week included Glass House Dance's takeover of Harling's Old School Hall, culminating in a performance of their 'A Little Bit of Light' contemporary dance, using stories told to them by residents throughout the week. In Mattishall, Lisa Little's 'Drop in & Stitch' workshops, unearthed tales from the village and provided residents an opportunity to get to know each other a little better, chatting whilst therapeutically stitching memories and anecdotes onto tea towels. In Nearby Shipdham, poet and writer Martin Figura was busy entertaining the ladies and gents from the Shipdham Knitters, Shipdham History Group and Shipdham Manor Care Home, enjoying much frivolity and plenty of biscuits whilst working on his Shipdham oral history project. Proudly sporting his residency tank top, Martin's final appearance was at Saturday's Church Fair, where he and his wife Helen Ivory set up their poetry takeaway! In the New Year the Silver Social welcomes singer, Kate Dimbleby, who will be taking her 'Sing Your Song' workshops on a tour of the town's libraries, before stopping off in each of the villages. Look out soon for more details. Residents of Ashill loved artist Vicki Johnson's penultimate Cyanotype printing workshop yesterday, with many return visitors bringing their own photographs to incorporate into the artwork. Over the past few weeks villagers have been encouraged to share their own photos and memories of life in Ashill, as they have been sifting through images from the Village Archive. Vicki was able to turn some of these photos into negatives which could then be incorporated to create personal prints that reflect individual experiences. Some shared pictures from village fetes gone by, others included themselves or their pets, including some real characters! With Vicki's final Cyanotype workshop on Wednesday 18th October, 11am - 4pm. all of the artworks created by residents will then be exhibited at the Community Centre on Saturday 21st October between 12 - 4pm. Villagers are encouraged to come along and admire the creations, exploring Ashill past and present through this unique art form. All events are FREE to attend, so come along! Word has spread among the residents of Ashill, with fantastic numbers showing their support for new local activities with a great turn out for Vicki Johnson's second Cyanotype workshop yesterday, as part of our Silver Social artist residency at Ashill Community Centre. This week's workshop placed emphasis on 3D textures, incorporating objects from the local landscape (which Vicki had collected earlier that morning) into the prints. Some return visitors brought along their own personal photographs, sharing moments of times gone by and reflecting on the change of landscape and re purposing of old buildings within the village. 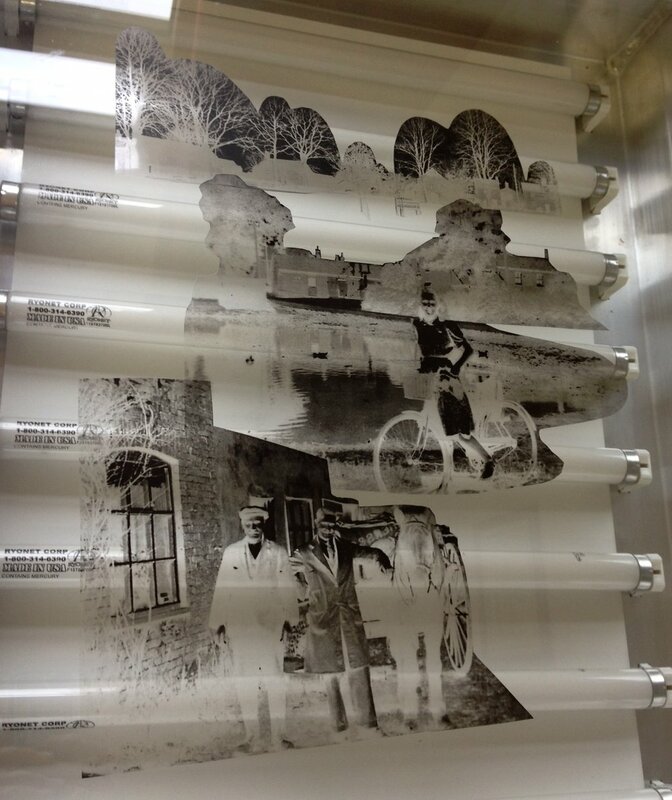 Vicki took photographs of these to turn into negatives and will bring them along to the next workshop (Monday 9th October, 12pm - 4pm) for further experimentation. Don't miss your chance to experiment with these beautiful prints and see them exhibited in the Community Centre on Saturday 21st October. Full details of workshops on our Upcoming Events.